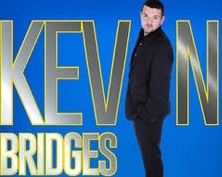 Good news for all the Norwegian Kevin Bridges fan because Bridges will give a show in Oslo in 2015 during his tour in 2015. Kevin Bridges is a Scottish stand-up comedian. Bridges was on several comedy television shows such as Would I Lie to You?, Have I Got News for You and he also appeared at Live at the Apollo. However Kevin Bridges got famous and popular with his show Kevin Bridges: What’s the story?. Bridges career on television started in April 2008 on Comedy Central UK with the show The World Stands Up. So from the middle of April in 2015 Kevin Bridges will be on a world tour in which he will give plenty of shows in the UK, Ireland, Belgium, Holland and in Norway too. In Norway Bridges will give three shows including Oslo as well. In Oslo the Kevin Bridges show will be on Friday on the 12th June in 2015. The show will take place at the Folketeateret in Oslo.